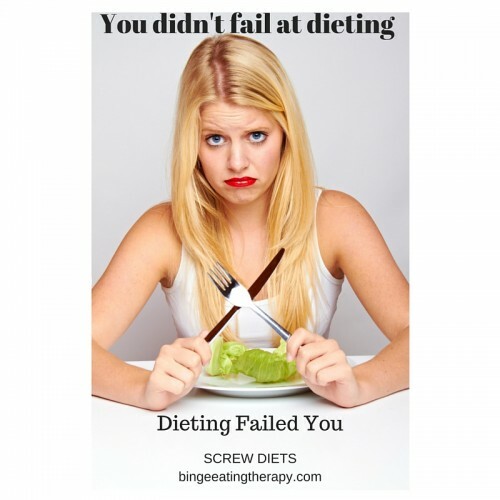 Q & A Friday- Why Can’t I Get Back on My Diet? Yay! We’re back to Q & A Fridays. I’ve got a huge backlog of them – so if you send me a question, please don’t worry- I will get to it! If you don’t hear from me, it’s okay to send me a reminder. This one comes from Jessica in New York. Thank you for the great blog and newsletters. I really appreciate them. I am struggling really badly right now. I have been overweight my whole life- on my 25th birthday, I woke up and the scale said 300 pounds. I couldn’t believe it. I was so scared that I would wind up on one of those TLC shows about someone needing a forklift to get them out of bed. It was at that moment that I decided to lose weight. I implemented a strict zero carb diet and started walking 10,000 steps a day. In six months I lost 150 pounds. It was amazing. For the first time I could wear normal sizes and didn’t have to shop in plus size stores or the plus sized section. It was amazing to walk into a store and buy regular sized clothes. I felt like my life was finally starting. Only not- because I was always anxious and I was afraid that I was going to gain the weight back and I was afraid of food and so I started eating less and less and less. I lost my period and despite that, I couldn’t lose anymore weight. I just stayed at 150 pounds. I got to the point where I was eating like just 2 hard boiled eggs and a container of cottage cheese each day- and I still couldn’t lose weight. I became really anxious and depressed. Some days, even if I’d eaten barely anything the day before, the scale would even go up like 5 pounds. And then… the bingeing started. One day I just lost it, I ate a piece of cake at my niece’s birthday party and then I was done for. I started in on the cheetos, the coca cola, the chips, the candy… then I went home and bought a pint of Phishfood and ate the whole thing. And it didn’t stop from there. 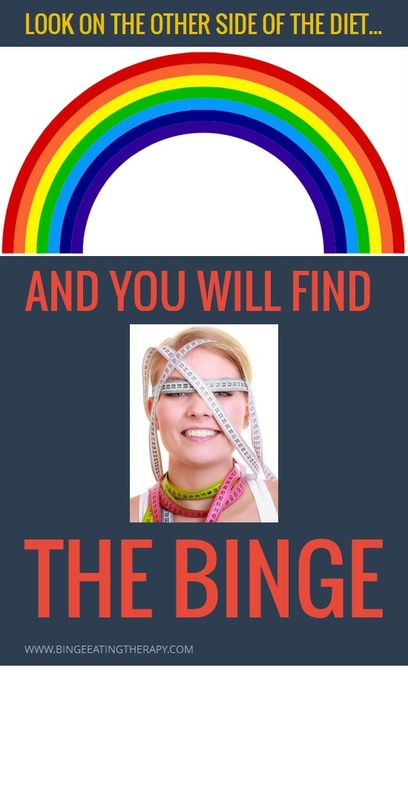 The next 10 days, I couldn’t stop bingeing. I finally got back to my diet- and I can maybe go now like a day, or sometimes not even. I just cannot, whatever I do, stick to the no carb thing. I feel like I’m elbow deep in oreos without even knowing it. Can you help me? I’m so scared and I feel so out of control. 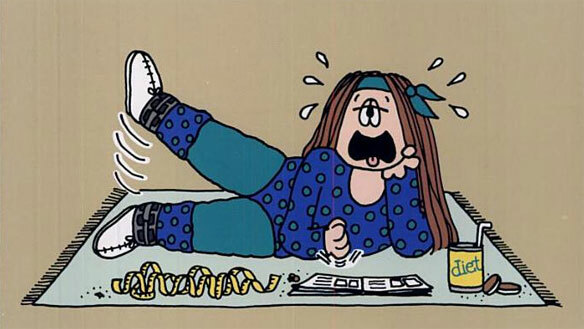 I’ve already gained back 20 pounds and I am afraid that I’ll binge myself up to 500 pounds. Why can’t I get back on my diet? Please help me, I’m desperate. I’m so glad you wrote. I have seen your exact situation so many times. I know how difficult it is. 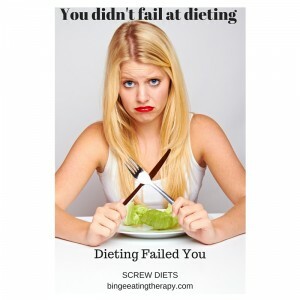 You feel like a failure, you feel like you failed yourself and you feel like there is something wrong with you because you cannot get back onto your diet. 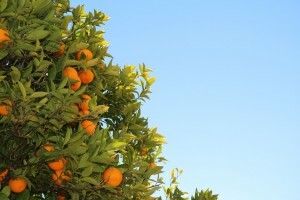 Because your diet was so successful the first time, you are trying desperately to get back on, but you can’t. This is what happens to many people who severely restrict their food for a long period of time- they wind up on a life-long quest to get back to that way that they were- back to that severe restriction phase and beat themselves up when they cannot make it. They then begin bingeing like crazy. 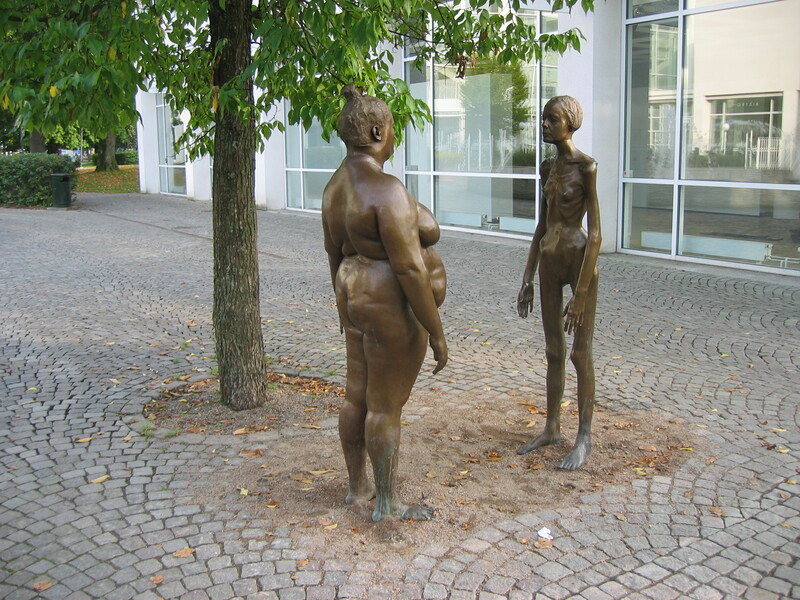 This is your body’s way of telling you “NO STOP DON’T DO THAT TO ME AGAIN!” And the fact that you couldn’t lose anymore weight after you got to a certain point, no matter how hard you tried tells me that you probably hit your body’s healthy weight so your body did what it had to do to maintain the homeostasis. THIS IS NOT YOUR FAULT! You did not fail! But not to worry, you can still maintain whatever your healthy body weight is without going back on your restrictive diet. This is my advice to you. Stop trying to get back onto that zero carb diet. Feed your body big healthy meals at least 3 times a day. Include all three macronutrients, fat, protein AND carbohydrates. If you are uncomfortable with simple carbs like bread – that’s fine, but do nurture yourself with complex carbohydrates like yams, legumes, fruits and vegetables. I also highly recommend seeing an acupuncturist to help heal the damage that the no carb diet has done to your reproductive system and to restart your periods. You can also check in with your OB. 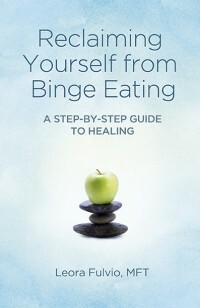 It’s important that you pull yourself out of this binge/restrict cycle now and create balance for yourself and your eating. 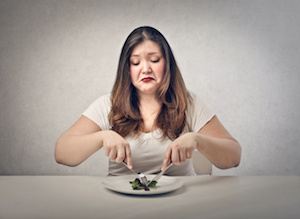 When you are feeding yourself 3 big healthy meals per day with the 3 macronutrients included in each, you will see your urges to binge greatly diminished. If you need help- please do see a registered dietician or nutritionist who specializes in treating Eating Disorders to help you figure out your food and get you the nutrition that your body so desperately need right now after so many month of not giving it what it needs. I hope this answers your question and that you are able to feel better soon. I ate a donut for breakfast today. I don’t eat a lot of donuts. But this morning I wanted a donut. So I went and I and got one. And it was pretty good. It wasn’t the amazing thing that I thought it would be, but it was good. Perhaps it wasn’t amazing because I didn’t prohibit it and tell myself that I couldn’t have it, then get into a battle where my compulsive self finally took over and just bought it and sat in a dark corner and forbiddenly ate it. No, it wasn’t that high pleasure of “sooooo good” that comes with anguish and emotion and stress and relief after winning or losing a battle with desire and food. It was good. It was a doughnut. Nothing more. Nothing worth life or death or orgasmic or thinking about too much about. It was just a doughnut. Without any emotion tied to it. And so, it was fine. It was a freaking doughnut. And then at lunch, I had some avocado and turkey slices over a bed of spinach, because that’s what I wanted. About 15 years ago, if I’d gotten a donut for breakfast, it wouldn’t just be a donut. It would have been an emotional event. I would have fought with myself and fought with myself and fought with myself about it. I would have asked myself what I was really feeling, why did I want this donut? What was I really hungry for? And I would agonize and try to keep myself from eating the donut and this war would last for awhile. And if I gave in and ate the donut, I would be so angry at myself. And then the rest of the day would turn into a binge day. I’d dive into cakes and cookies and bagels and pasta and bread pretty much all day long. Because I felt that one “indiscretion” with food ruined the day and it would then be filled with foods that made my body feel unfed and uncomfortable. 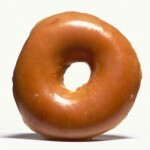 I would be so anxious that if I had a donut in the morning that it would set the tone for the day that it would. But today, I ate a donut without a whole lot of self protesting. Because I knew that just because I had one donut, it didn’t mean that I had to spend the day eating food that made me feel bad. I knew that the donut was not going to throw me off balance and that I could balance it out with a healthy lunch. And I did. And I did it without thinking about it too much. I thought that I would mention it because today I noticed that my body and my mind were so integrated with intuitive action around food that I was no longer trapped thinking about it all the time. Eating the donut for breakfast and eating the salad for lunch both just happened because it was what my body asked for. People ask me if you can ever truly be cured of your food issues and not have to think about it constantly for the rest of your life. My answer to that is yes. There will come a time when you can eat a donut for breakfast. There will come a time when eating a donut for breakfast won’t mean that you are having a “bad day with food,” or that you are undisciplined or bad. There will come a day when donut (or any other “forbidden food”) doesn’t taste like the most amazing thing on earth, that it just tastes good because food is no longer the center of your universe. Recovery is possible and full recovery, where you are just eating without worrying too much about it, is completely possible. It’s okay to eat a donut. It doesn’t make you bad or shameful or naughty like some may have you believe. When you are on the other side of recovery for your food issues, eating a “trigger food,” becomes possible because it won’t set you off because you will be in a place where you have balance with food. The food won’t have power or control over you. It will just be a donut. Nothing more, nothing less. There won’t be meaning or a moral value attached to it.